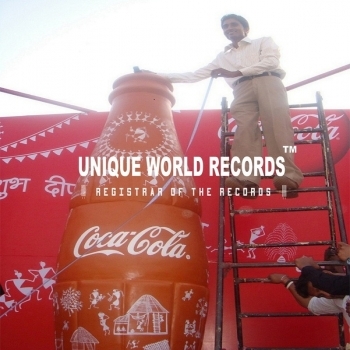 Holds a World Record of Tallest Coca-cola bottle made of Terracotta in 2012 & 2014.it measured 10feet tall and 3.15 feet diameter at the bottom made on a potter’s wheel and decorated by Warli painting by 100 students from across the country those participated in a workshop organized by Happy Hand Foundation and Coca-Cola India. It was unveiled at Pragati Maidaan, New Delhi on 28th October 2010. 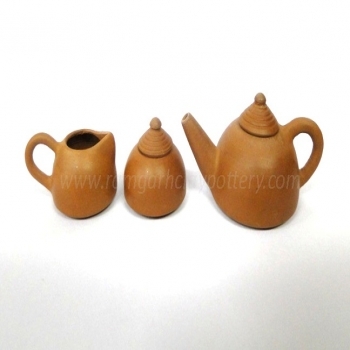 In 2012, Om Prakash Galav got the “UNESCO Award of Excellency for Handicrafts” for Terracotta Miniature Tea-Set by World Craft Council.